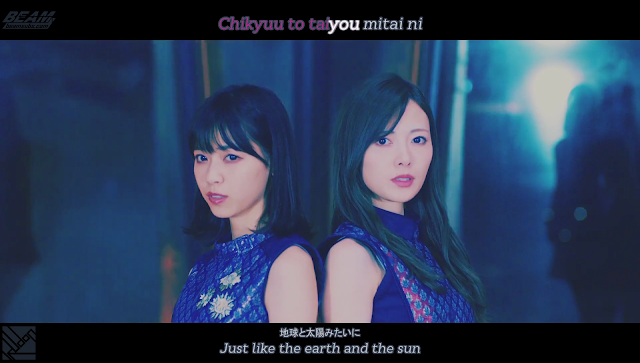 Multi-language subtitles for Nogizaka46's 17th single, Influencer. The two members chosen to center this dance heavy single are Shiraishi Mai and Nishino Nanase. The title itself explains what the song is about, being influenced and controlled while in love. We hope you enjoy the song, and if you speak Spanish or Indonesian, IKUDON Fansub has those versions on their page.